i woke up with a smile. not often, i’m not a morning person (insert smile here). it take me hours to smile usually, or at least 2 cups of coffee (i’m inserting another smile here). but i’m smiling. so lets not dwell on the fact that i am not a morning person. good, i’m glad we agree…we do right? so now that i’m smiling, and things this week seem to be looking up, i’m posting. it’s soup, cause it’s gonna rain. you heard that too right? rain. eh. but the rains bring spring, and we need spring. or i do. so what do you do on a rainy day? we cook, bake…curl up around our fake fireplace and watch bad movies. it’s a given…i mean, rainy days…maybe someone will nap? probably not. but at least someone will cuddle with me. so simple to make, you know, so you don’t miss much of the movie. 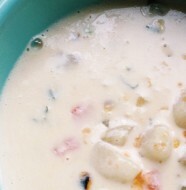 creamy, sweet delicious soup. what more can you ask for? maybe some bread? melt butter with oil and sauté onion and garlic for 2-3 minutes or until onion softens. to pot add sweet potato, toss, cook for another minute. add stock, ginger and syrup and bring to a boil. lower heat and simmer for 20 minutes or until potatoes are soft. 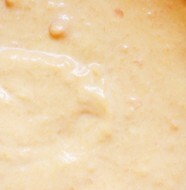 with an immersion blender, blend soup. taste, season with salt and pepper. 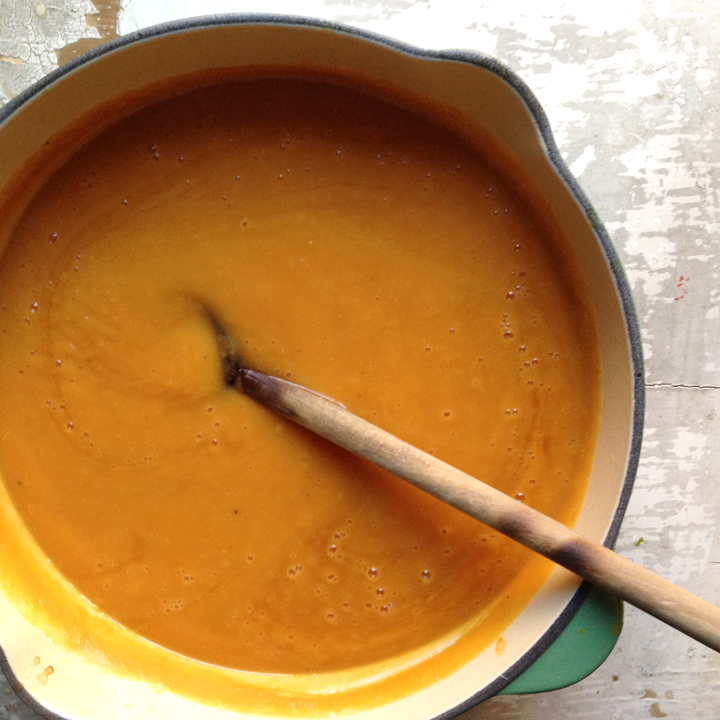 One Comment on "sweet potato and ginger soup"
It’s cold and rainy here in NYC today. Winter doesn’t want to go away! This would have been perfect for lunch with some nice bread. 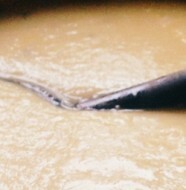 Love your soups when you post them.